Following the Taufers's warm welcome to their hotel in San Martino di Castrozza, you will be looked after throughout your stay, plus valuable advice for your sports activities. The impressive view of the Pala Group, the centre a stone's throw from you, and the Tognola ski lift facilities just 300 metres away, are exclusive privileges reserved for our guests. Come and see the glorious Dolomites, you will feel as if you could touch their very peaks, charmed by their magnificence. Quiet, comfortable and spacious communal areas, where you can fully relax, make one of the strengths of Hotel Orsingher. This is why we suggest you choose us as your hotel with wellness centre in Trentino for a family holiday, or for one with a group of friends. 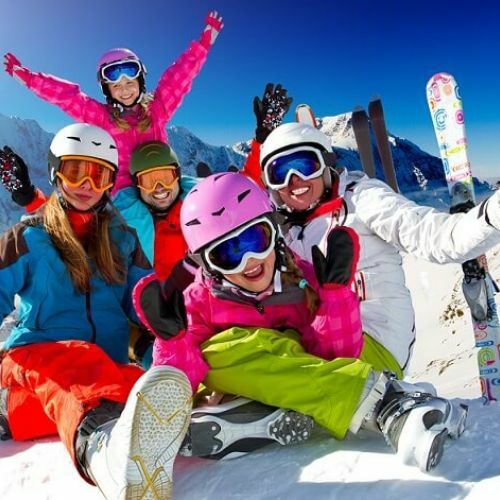 It is our pleasure to welcome Ski Club and Alpine Club parties. Combine mountain sports and adventure with full relaxation indulging in the waters of the indoor scenic swimming pool with a view of the Pala Group, at your hotel in the Dolomites. Try out the blissful jet-tub and Spa treatments, with our qualified staff always at hand for advice. Hotel Orsingher in San Martino di Castrozza provides a genuine alpine experience: from the wood-panelled restaurant to typical Trentino fare and the wellness centre, it is all about tradition. The best starting point for a holiday that is actually an experience. We are a pet-friendly hotel, which means that in addition to being admitted to our hotel, your pets will also find everything they need for spending a pleasant mountain holiday with you. At our pet-friendly hotel, rooms come with a complimentary kit including blanket, bowl, and a yummy welcome snack. On demand, we can also arrange an appointment with our trusted vet, or provide dog-sitting. Also cleanliness and health are priority: our rooms are sanitized with specific products to provide a safe environment.